My name is Anne Sternberger, and I am currently a Junior at California University of Pennsylvania. I had the joy and privilege of hearing you speak to my Intro To Poetry class, with Dr. Levan, in early March. 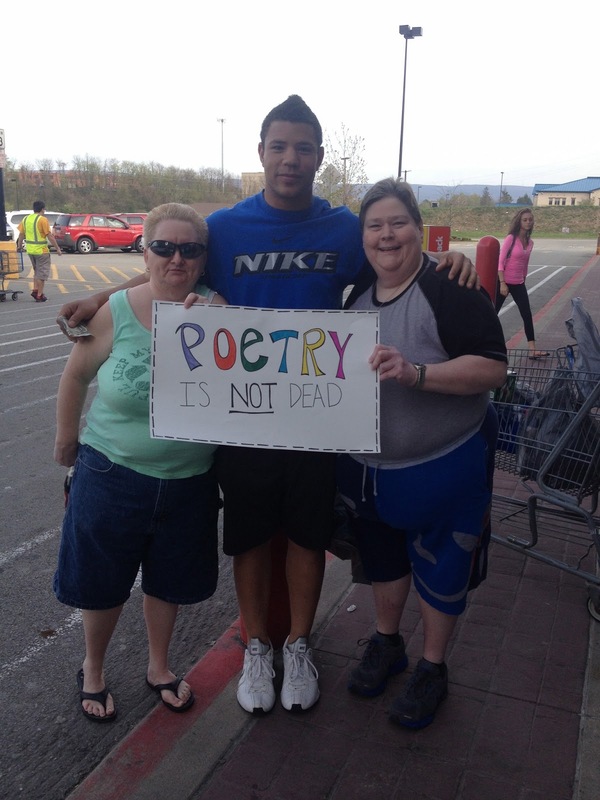 I am contacting you, because my poetry group and I included you in a recent group project, and I wanted to fill you in. Because April is National Poetry Month, Dr. Levan assigned us with the task of creating a project in which you bring poetry awareness to the community. 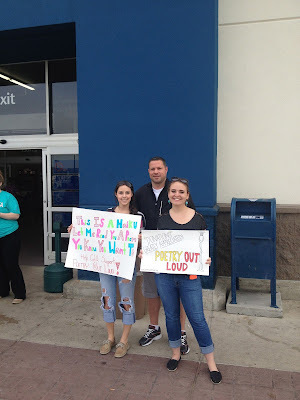 My group and I really wanted to include your program Poetry Out Loud in this assignment, because you felt that there is no better way to keep poetry alive then by teaching it to children. 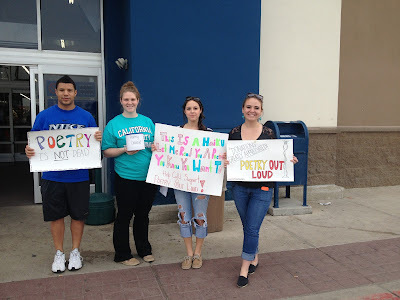 Our group went to a local Wal-Mart the other day with signs and poems, and we explained to people what Poetry Out Loud program is all about, and provided email links to the site. We also asked for donations in exchange for reading a poem! 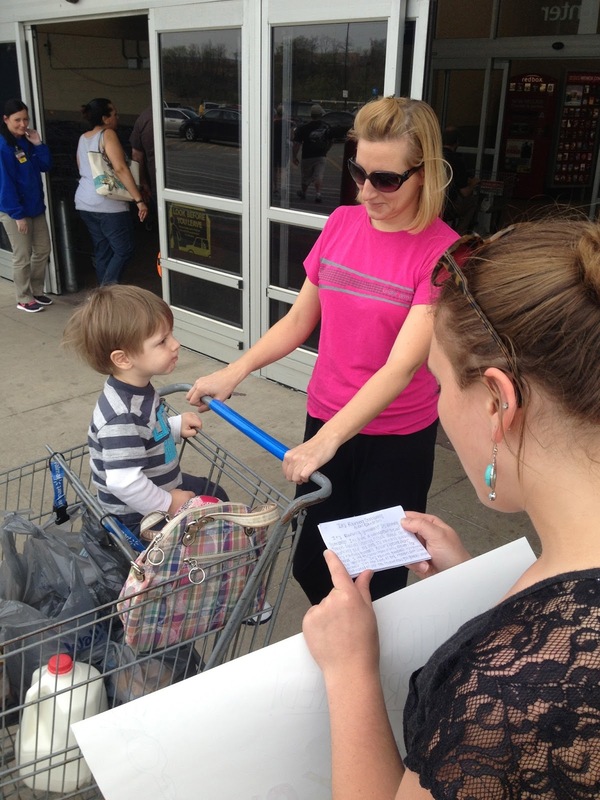 She closes by asking me where she should send the donations; I'm working to get them routed back into Pennsylvania so the funds can go toward a POL program for the community that made the donations. I can't really describe the feeling I got from this email. Overjoyed and humbled are a good start. The fact that my visit made any impression still flabbergasts me at times; sometimes I forget it's been a decade since I went to college so I don't feel that much further along in life than they. 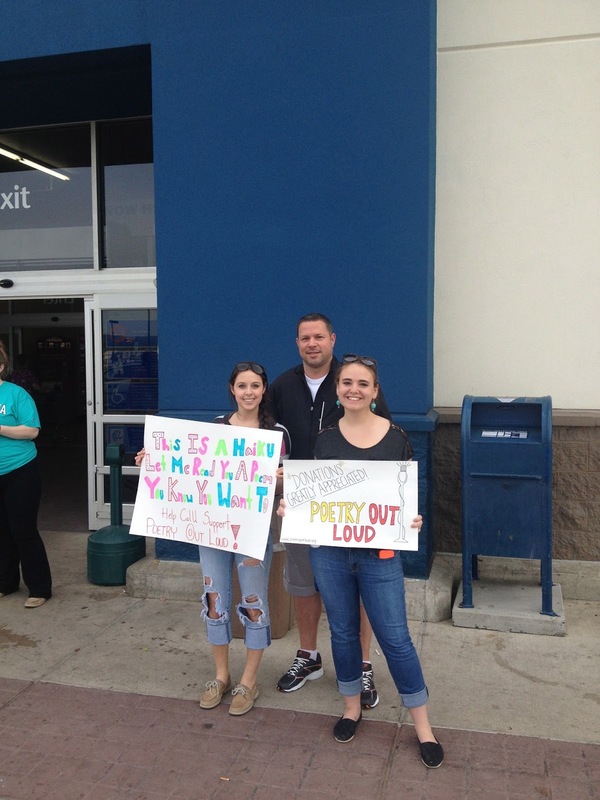 Most impressive is the work these students put into their class project; that is no small task to stand outside a Walmart and ask for money. I'm sure they got their share of cold shoulders. But I have no doubt that any grumpiness was quickly forgotten in the wake of their enthusiasm and generosity, not to mention the personal poetry readings. I'm sharing this story in the hopes that you'll pause to consider your impact (no doubt you've made one) and for whom you are a mentor. Take a moment to feel good about that. Most importantly, I want to thank Cal U students Anne Sternberger, Alyssa Fowler, Emily McMullen, and William Davis. Your project definitely inspired those you met. It is still inspiring me! 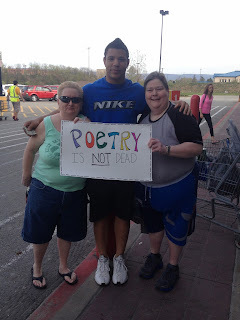 When people talk of the millennials' lack of interest in anything that's not sent via text message, you proved them wrong with your willingness to be excited about poetry, self-expression, and arts education. Thank you so much.